Taster Class Registrations Now Open! Click the poster to register now. Tickets available from Whangarei i-Site Information Centre. A series of train rides from Portland and return. 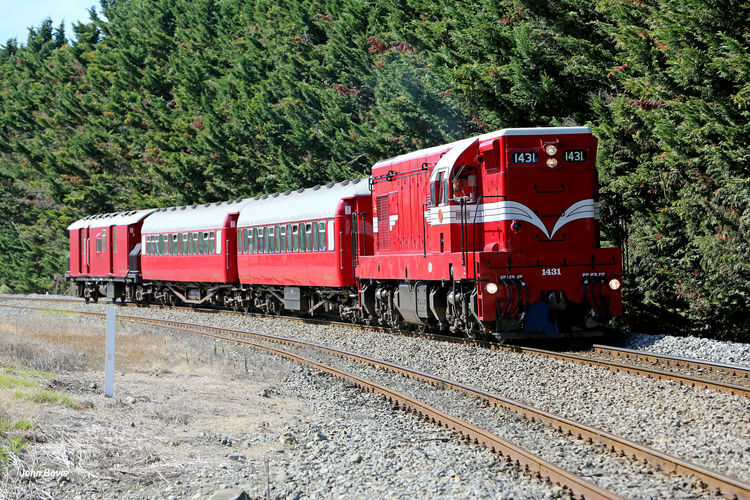 Hauled by restored diesel locomotive Da1431. Round trip approximately one hour. No charge for infants under 2 if sitting on adult’s lap. Only one infant per adult. 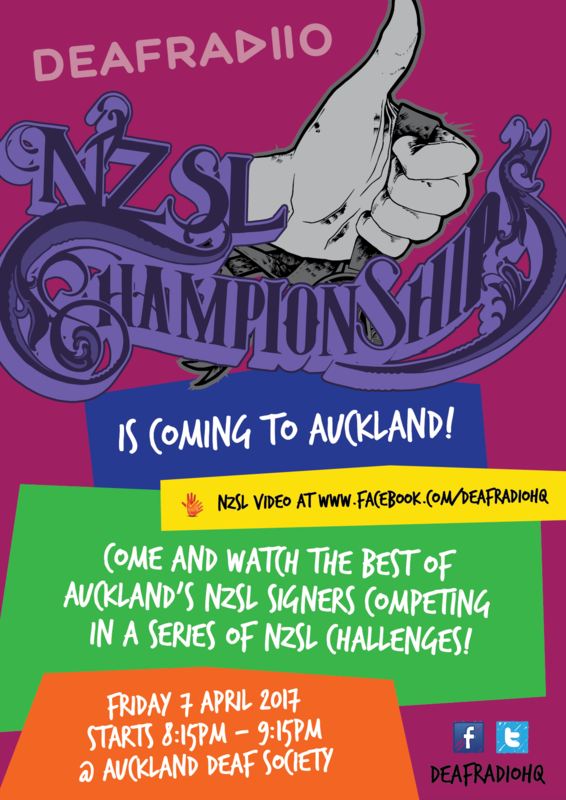 Come watch the best of Auckland NZSL signers competing in a series of NZSL challenges. Come meet and greet students from AUT at Deaf club. Where: Mapura Studios, Fowlds Park, Rocky Nook Ave, St Lukes. Cost: Free for full members & $10 for Associate members. 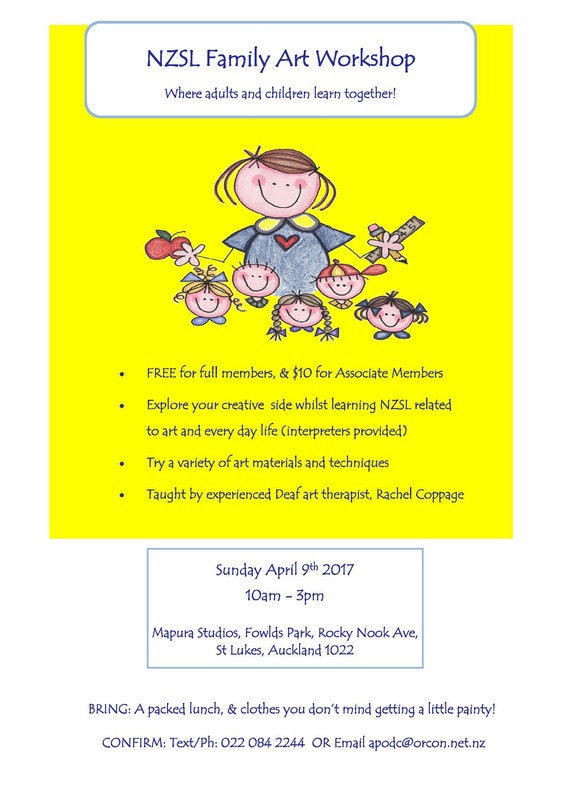 Explore your creative side whilst learning NZSL related to art and everyday life (interpreters provided). 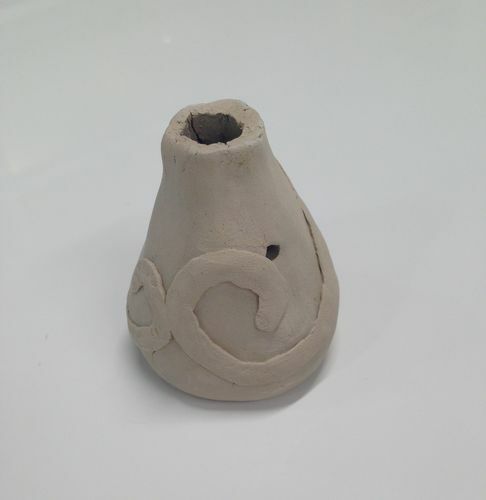 Taught by experienced Deaf art therapist, Rachel Coppage. For more information please read the flyer. 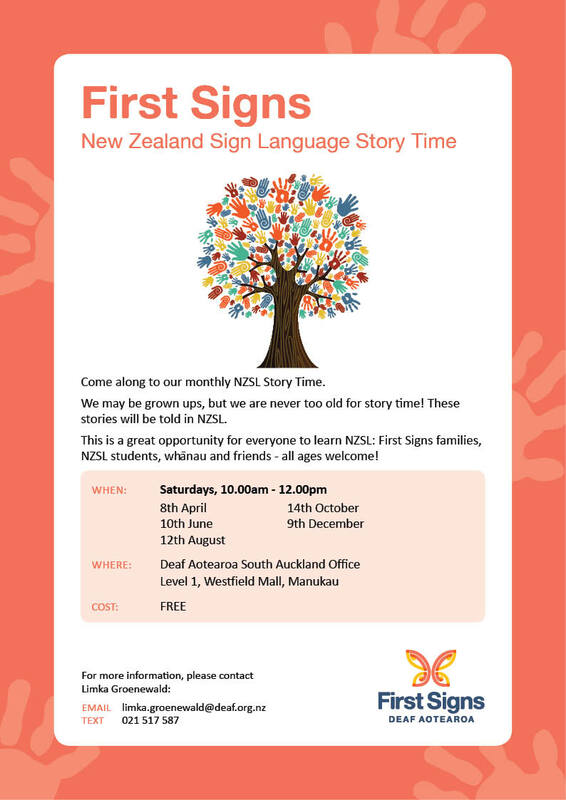 Come along to our monthly NZSL Story Time. NZSL students, whanau and friends - all ages welcome! For more information please contact Limka. A fantastic opportunity for everyone who wants to experience / learn New Zealand Sign Language. 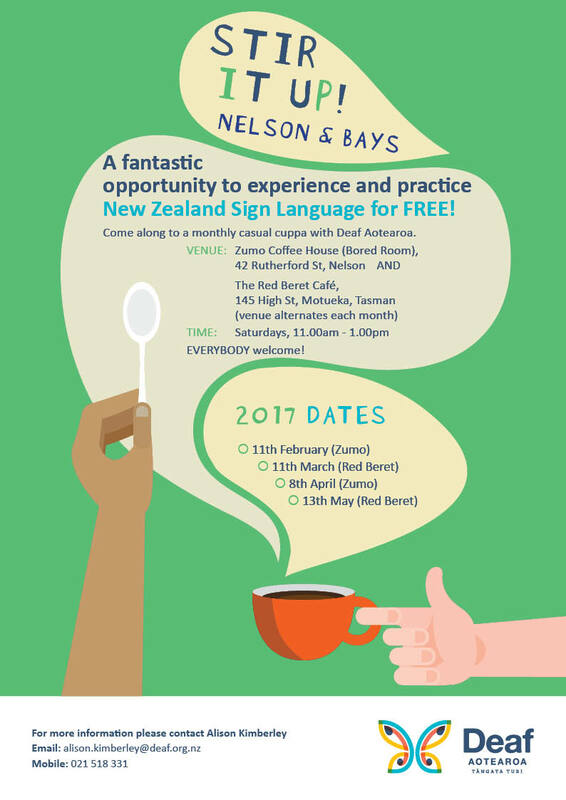 Come along and attend our monthly casual cuppa at Deaf Aotearoa. A great setting for First Sign families, NZSL students, whanau / or friends. Everybody welcome – Deaf, hearing, hard of hearing, individuals, businesses, organisations. If you need more information or want to RSVP, please contact Sue Lessing. Come enjoy ice skating! A fundraiser for Waerenga School. It’s a great, safe and fun way to get active and also an activity that kids can do together with their parent(s) and friends. Entry fee includes ice skates. All events are open for general public so don’t worry if you or your kid(s) are not attending the school. Something for everyone - shopping, animals, games, food, entertainment, amusement rides, exhibition stalls, competitions, and loads more. Celebrate Maori arts and crafts on the first Friday of the month with Marei Kura Creations. 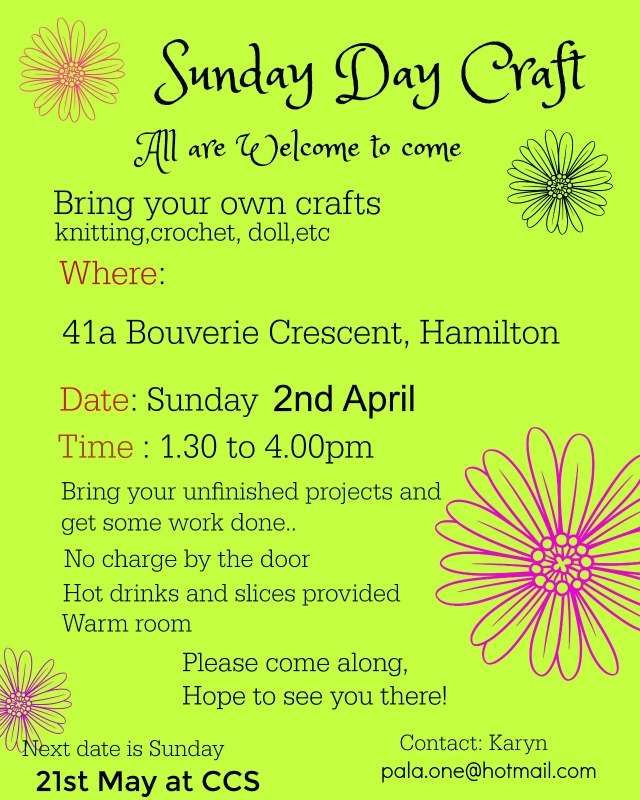 Bring your own crafts, knitting, crochet, anything, to Sunday Craft Day. Bring your unfinished projects to get some work done. Free entry. Hot drinks and slices provided. Remember to put your clocks back one hour before you go to bed on Saturday 1st April. It is also a good time to clean and test your smoke alarm. With the cold and wet weather season approaching, Deaf Aotearoa staff care about you and your health, we want to stop you and others getting sick. Cover your month when sneezing and coughing to prevent the spread of germs. Check with your doctor to see if you qualify for the Flu vaccination especially if you suffer from Asthma or breathing problems. If you are sick please stay home until you are better. 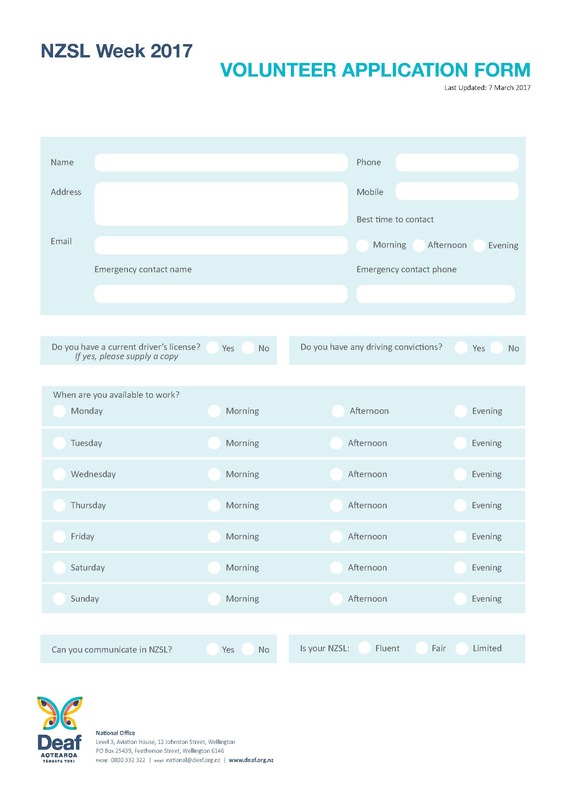 Let your boss know and cancel any appointments at the Deaf Aotearoa Office that you may have. Help keep everyone well this winter. Come and join us to celebrate Paradox: Tauranga Street Art Festival with live performances all afternoon – including the fantastic Troy Kingi Band. and Bailey Wiley. Join the free daily wall walks starting outside the Tauranga Art Gallery at 11.30am and 1.00pm. Be one of the first to walk the walls around the city and see the unique murals some of the world’s finest artists have created. If you need more information or want to RSVP, please contact Tania Stuart. Fitzroy Gala is well-known for its delicious food so bring the family and come for lunch - there will be lots to see, do and try from delicious food, the cake stall, grocery raffle, plants & produce, quick fire raffle, games and pony rides for the kids. The gala is Fitzroy School’s main fundraising event so please bring along your family and friends! The event starts at East End Reserve and goes 5km along the iconic Coastal Walkway finishing at Ngamotu Beach with a mass colour throw. This event is open to participants of all ages and speeds - everyone is welcome. No times will be recorded. A Rainbow Run bus service will be available from Ngamotu Beach to East End Reserve for participants wanting to leave their vehicle at the finish line. The bus will leave from the corner of Pioneer Rd and Breakwater Road. Please arrive 10 minutes before your departure time. Tickets for the bus service must be purchased before the event and will not be available on the day. An explosion of hot pink, vintage chrome and live sound! The Rebel Pink by Footnote New Zealand Dance provides three emerging choreographers with an opportunity to create new original work in a world conjured by New Zealand dance luminary Malia Johnston, designer extraordinaire Marcus McShane and world class drummer/musician Tom Scrase (ex-Strike). Join in celebrating the official opening of the Havelock North Village Green and Mackersey Family Pavilion. Try out the new playground, skate or water area, grab a bite to eat and listen to some music. 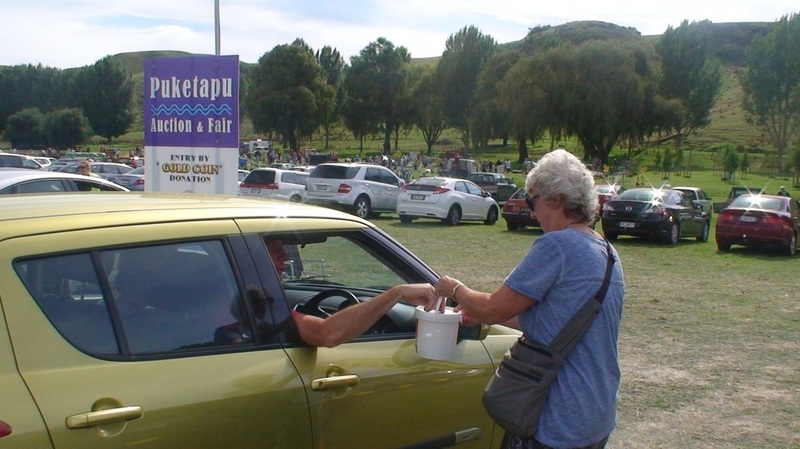 A combined auction and country fair set around the beautiful lake at Puketapu village which is being run by Taradale Rotary as a fundraiser for assistance to the community. Puketapu is seven minutes west of Taradale. The range of product accepted for auction is unlimited so bring it along. A reminder that Daylight Savings will end on Sunday 2nd April (clocks go back one hour, when 3.00am becomes 2.00am). 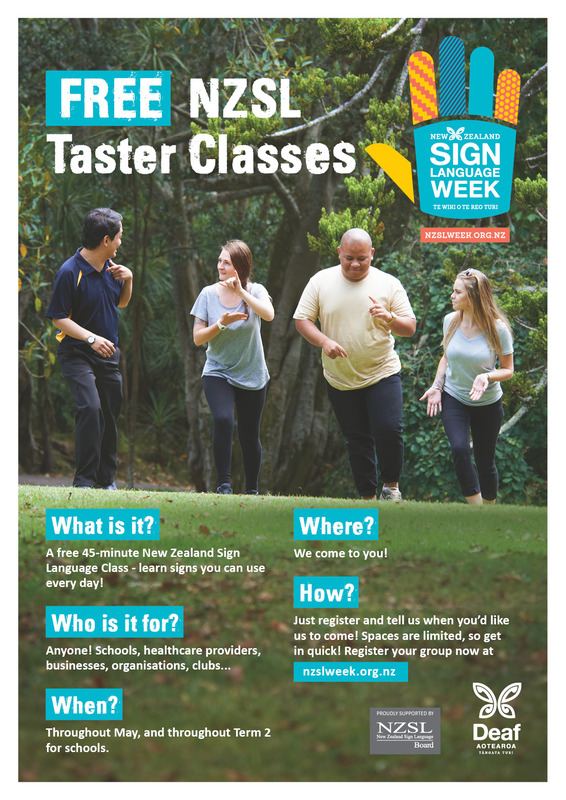 If you are able to volunteer for New Zealand Sign Language Week 8th – 14th May, please complete the attached form or drop into the office and pick one up. If you need more information or want to RSVP, please contact Kat Puna. An invitation to parents, caregivers and the Deaf community. We would love you to come to our information sharing meeting. 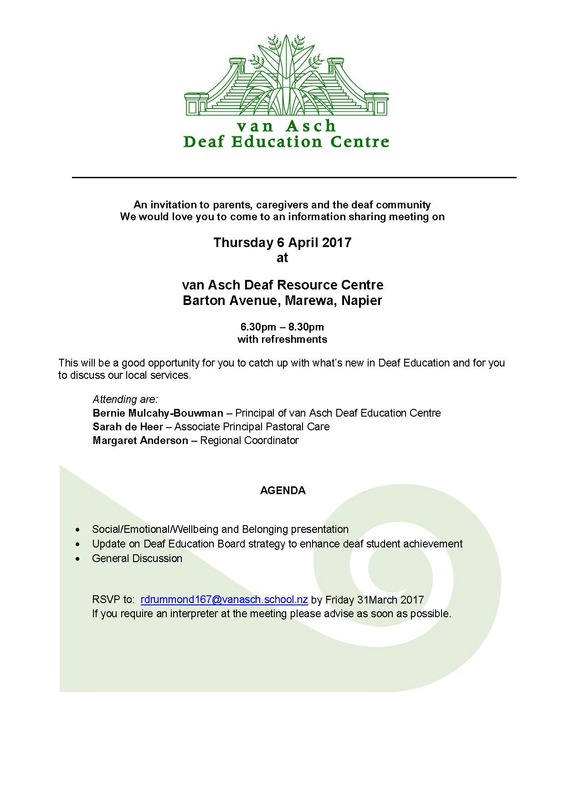 This will be a good opportunity for you to catch up with what’s new in Deaf Education and for you to discuss our local services. Light refreshments will be provided. If you require an interpreter at the meeting please advise as soon as possible. Contact: rdrummond167@vanasch.school.nz by Friday 31st March. Staff wish to advise you that if you want to see staff at Deaf Aotearoa office, please contact them to set up an appointment. This is to ensure the community does not miss out on a chance to have a meeting. 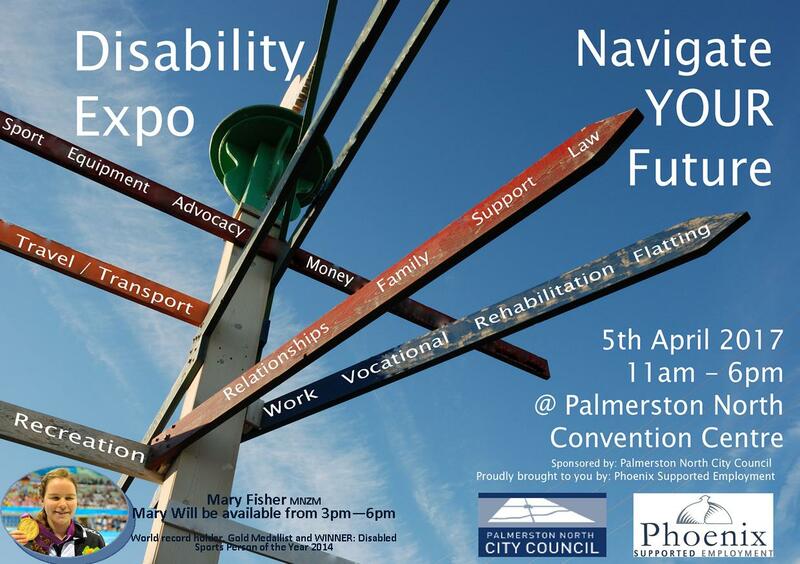 Come along and check out the many stalls promoting their services in sports, equipment, money, travel/transport, recreation, family, relationships, work, flatting, rehabilitation and more! Deaf Aotearoa will have a stall there, so if you know anyone who would like to find our more, collect some resources please encourage them to come and visit our stall! 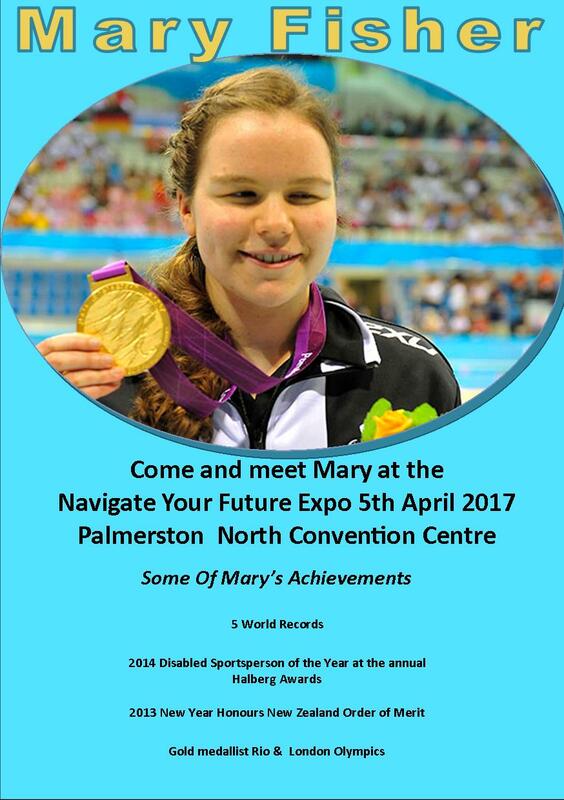 Mary Fisher who is the World Record holder Gold Medallist and WINNER for Disabled Sports Person of the Year 2014 will be there from 3pm – 6pm. The Ice Rink in the Square is back and it’s bigger and better than ever. This year they are bring a giant snow globe, it is so big it can fit 10 to 12 people at a time! Come and check it out! Beauty and the Beast will be released at the theatre soon! This is a fundraiser screening with all proceeds going to the Wellington Deaf Society building funds. Please arrive at 5.30pm, ready for the 6.00pm screening. Refreshments available for purchase from the Lighthouse Café and Bar. Please note limited number of seats available. For more information, please have a look at Wellington Deaf Society Facebook Page. WDS is selling entertainment books to help with their fundraising endeavours and get 20% from each book sold! All proceeds from the Entertainment Book will go towards a new building for the Wellington Deaf Society - this will be the new second home for members, friends and family, where people can come and get together in a NZSL environment. 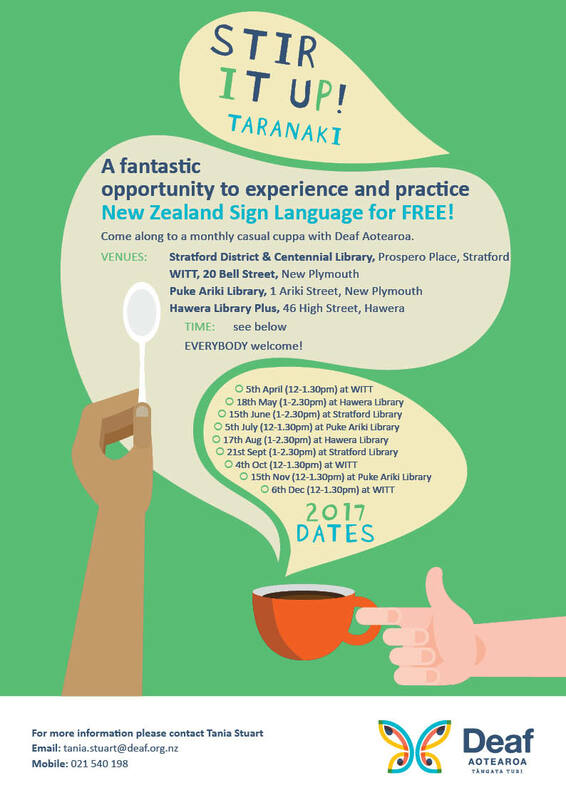 This is a fantastic and fun opportunity for everyone who wants to experience and /or learn New Zealand Sign Language. Everyone is welcome – Deaf, hearing, hard of hearing, individuals, businesses, organisations. An Interpreter will be in Nelson on Tuesday 4th April. They are available from 10.30am – 4.00pm. An Interpreter will be in Nelson from Thursday 13th April in the afternoon and Wednesday 19th April in the morning. Come along and celebrate the Motueka Community. There will be over 150 food and community stalls. This is a free event, everybody is welcome. New Zealand Sign Language Week is coming up! Staff in the Canterbury office are looking for Deaf people in Christchurch who have a talent for storytelling, telling jokes, dancing, or doing a unique skill that barely anyone else has! They want to hold a NZSL Talent night to share all the NZSL goodness in the community… but they need you! If you think you can draw the audience in by one of your NZSL talents, please contact Joyce now! More information will be given. Costs: Normally $19 for two games. CDYG and CPODC will cover the first 20 people to RSVP. 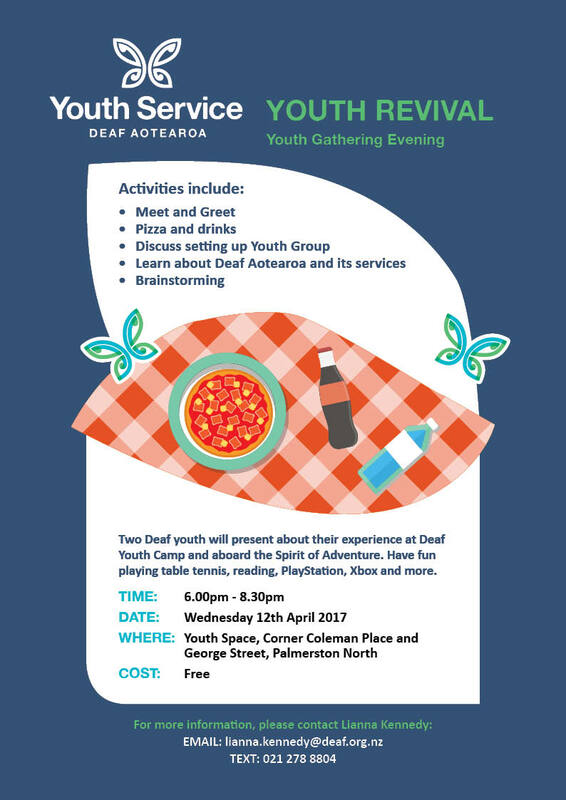 How to RSVP: Go on Canterbury Deaf Youth Facebook page and rsvp on their event page. Canterbury Deaf Youth Group and Canterbury Parents of Deaf Children are working together to hold a Laser Strike event for youth in Christchurch. First 20 people to RSVP will have their entry fees covered. There will be free pizza after the event, so make sure you don’t miss out! The position involves gardening at private homes. The work involves weeding, pruning, planting and spraying. The team member will be supplied a company vehicle. The scheduling of the work is done by head office and they receive their work schedule by logging on to a website. The work is between 9 and 3 weekdays so suits people with school aged children. This is a permanent position so you must have cover for the school holidays. They are looking for someone with high standards and who will get along with team members and clients. If you want more information, please contact Jared. Zirka Circus is proud to bring you its 4th tour of New Zealand, our new show "Cross the ocean" and it's more spectacular than ever! Zirka Circus remains a family friendly and animal-free circus, you can enjoy the action. Reminder, Daylight Savings will end on Sunday 2nd April (clocks go back one hour, when 3.00am becomes 2.00am). If you need more information or want to RSVP, please contact Rebecca Aitcheson. The Dunedin Women's Lifestyle Expo is a two-day event for women of all ages. With more than 100 companies involved featuring everything from jewellery and beauty to business products & information, crafts, fitness, food & wine sampling and much more! 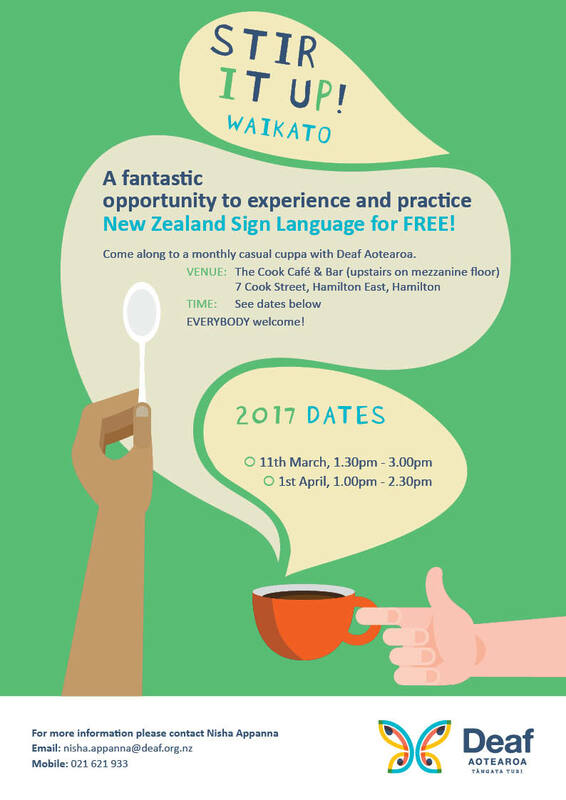 A fantastic opportunity to experience and practice NZSL for free! For more information please contact Rebecca. Is there anything you wish to learn and upskill? Rebecca has already had a request for a first aid course, but needs a minimum of five people for the course to go ahead. Please contact Rebecca with your interest. Come and join in a fun evening of singing and signing. Members of the Deaf and local Maori communities will meet and share their waiata skills using Te Reo Maori, English and NZSL. They will cover a range of different waiatas for children of all ages. Copyright © 2017 Deaf Aotearoa. All rights reserved.